Dr. Mark D. Dehen is a second generation Doctor of Chiropractic, practicing in North Mankato, MN. He has been in private practice for 30+ years. Dr. Dehen has certificates in whiplash, industrial consultation and the Back Pain Recognition program by the National Committee for Quality Assurance (NCQA). He also assists local industries with ergonomic consulting and injury prevention. Mark is involved in his community, serving as Mayor of the City of North Mankato since 2011. 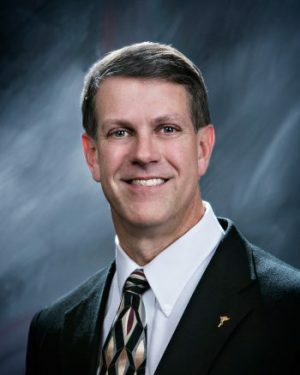 Dr. Dehen has also served in leadership roles for a number of organizations, including as past president of the MN Chiropractic Association (MCA) and recipient of the MCA’s Award of Excellence, the 1999 Chiropractor of the Year Award and the 2013 John Allenburg Meritorious Award. Mark was named Northwestern Health Science University’s Distinguished Alumnus in 2013. He was also voted Best Chiropractor by Mankato Magazine in 2012 and 2013. Dr. Dehen is past board chair of Fulcrum Health, Inc., a physical medicine health administrator. He is also a past chair of the national Council on Chiropractic Guidelines and Practice Parameters (CCGPP). He has authored several articles published in the scientific literature. Mark is a Fellow of the International College of Chiropractors. Dr. Dehen is married to his wife of 23 years, Kim, and they have 2 children, Jackson and Grace.